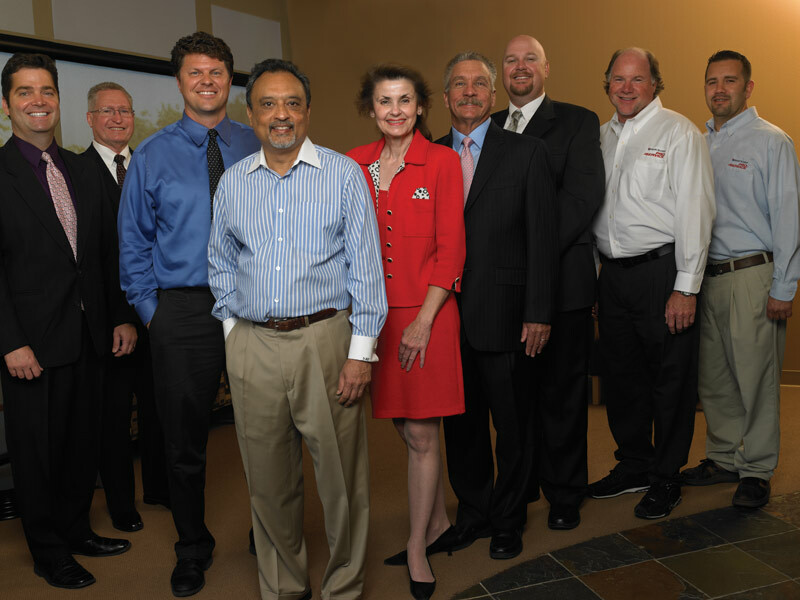 Dr. Vijay Patel is a modern success story. He owns and operates three dental offices throughout Southern California and has achieved significant growth, despite the recent challenges of a weakened Sunshine State economy and an abundance of dentists in his area. He is enjoying the highest patient count he has ever achieved throughout his career, and he credits that to the office he built with Henry Schein in 2011 in Claremont. Dr. Patel’s smaller Montclair office could no longer serve his patients well, so he decided to search for a new location. Since he had been living for many years in Claremont and was quite familiar with the area, it seemed like a natural move to build an office there. The exterior of the Claremont Dental Institute has a sleek, modern look. An upscale college town located just 32 miles east of downtown Los Angeles, Claremont is nicknamed the “City of Trees and PhDs” because it is home to beautiful, tree-lined streets and a highly educated community that works and studies at The Claremont Colleges, a consortium of five undergraduate liberal arts colleges and two graduate institutions. The 3,200-square-foot Claremont Dental Institute—along the old Route 66, a heavily traveled, four-lane highway that sees thousands of cars pass by every day between Claremont, Pomona, and La Verne—sits only blocks from two prime locations: The Claremont Colleges and The Villages, a retail mecca built in 2007 that boasts an upscale movie theatre, retail shops, and restaurants. Location, location, location is always a mantra to follow. Use Henry Schein’s services, like population demographics, to decide on the kind of patients you want to see, and use a good interior designer to create the right ambiance. The open and spacious waiting area offers inviting seating and natural light. Patients appreciate the convenience of same-day restorations made possible by the E4D Dentist System. The decision to build there began with a discussion of objectives and goals. Henry Schein Equipment Sales Specialist Pat Fagan and the doctor had known each other for more than 15 years. They used Henry Schein’s population report tool to evaluate local demographics in various zip codes and completed a Henry Schein Practice Analysis to help determine what part of Claremont might be the best location for Dr. Patel. 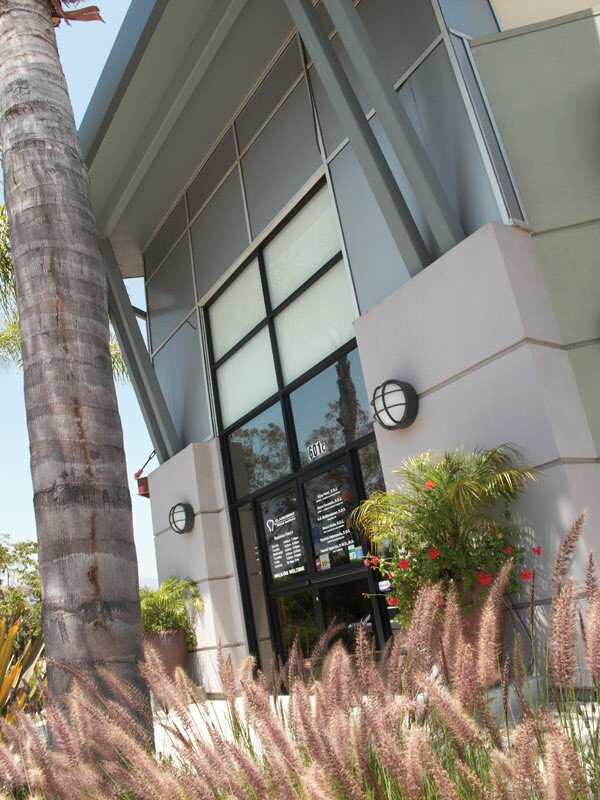 Mr. Fagan and Field Sales Consultant J.K. Reinhart were heavily involved in finding the new location, a building that had been vacant for three years but met all the criteria for what Claremont Dental Institute needed to be successful. 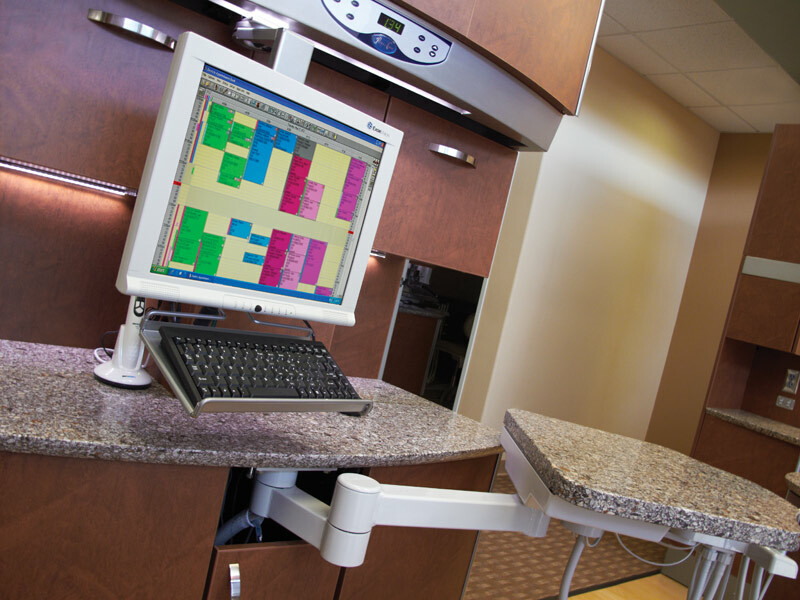 Embracing cutting-edge technology, Dr. Patel’s office utilizes Pelton & Crane’s Renaissance 12 o’clock technology center which is equipped with Dentrix and DEXIS. 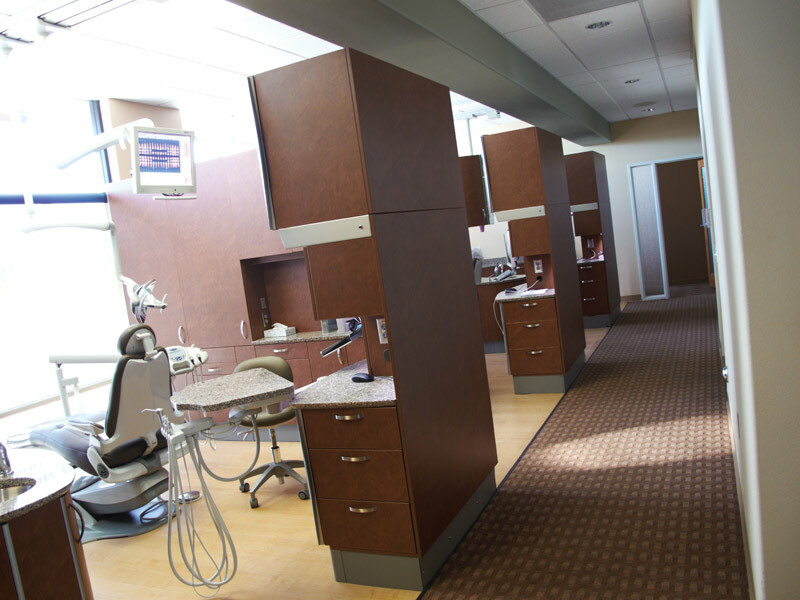 It all came together into a state-of-the-art, one-stop dental practice that offers nearly every type of dentistry to patients: family and preventive dentistry, cosmetic, implants, oral surgery, periodontics, endodontics, and orthodontics. The doctor has five associates working with him, and the interior is designed effectively so that each doctor has the technology and the space to extend superior care to patients. 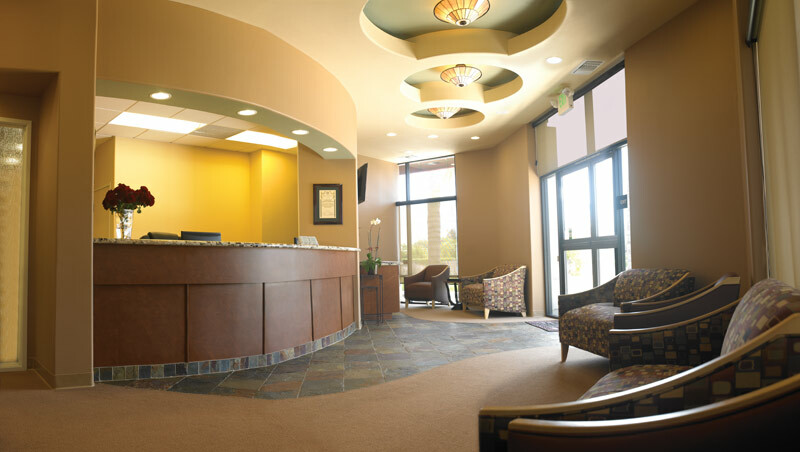 As patients enter the office, they are greeted by warm earth tones, granite countertops, and inlaid tile that beckons them to the check-in area. Nearly floor-to-ceiling windows brighten the space, and custom lighting set inside circular ceiling niches adds character and warmth to this modern office. The waiting area is open and spacious and offers inviting seating in its jewel-tone, upholstered chairs. The entire office is paperless and a power user of many of Henry Schein’s eServices that automate business processes, such as patient scheduling, health forms, and insurance claims. Demandforce and e-Billing are just two of the modules used by the office effectively, allowing the doctor’s staff to automate many of the necessary processes, yet maintain excellent communication with patients. 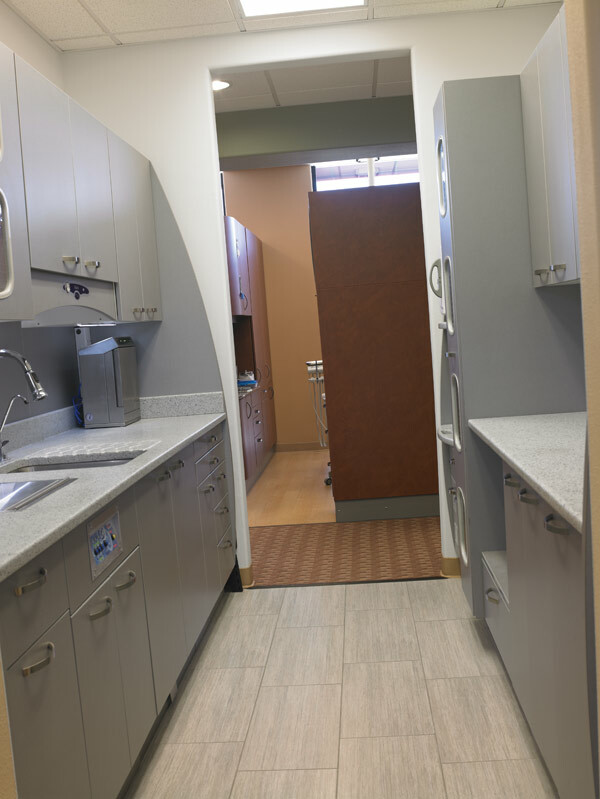 Dr. Patel and his associates have dedicated space to meet with patients privately. There are seven open-bay operatories—split on both sides of the practice for a smooth workflow—and two surgical suites. Sleek yet comfortable, each treatment area features top-of-the-line Pelton & Crane equipment: Spirit 3000 Ultraleather™ chairs with ErgoSoothe™ massage, 3000 dental units, and Helios 3000 LED lights. All were designed to be identical so any procedure can be performed in any room, simplifying scheduling and eliminating time spent moving patients or equipment. Overhead monitors light up with entertainment for patients, or they can be used by the doctors to display digital images or intraoral camera photos during treatment planning. The state-of-the-art stericenter is equipped with Pelton & Crane equipment. The technology the doctor speaks of is impressive. Digital Technology Specialist Jerry Babcock was instrumental in providing technical advice on integrating Dentrix and DEXIS software into the entire practice. 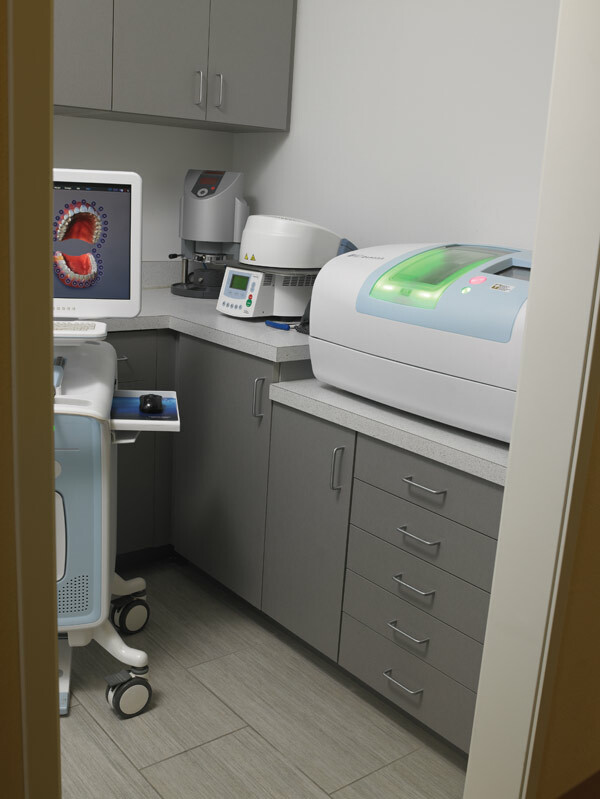 In addition, Dr. Patel is one of the few doctors in the area to have a Cone Beam CT, and he noted that it is one of the reasons referrals have increased. The E4D CAD/CAM system not only is an incredible asset because it offers same-day restorations, but it is also an office showpiece and patients can view the incredible technology at work. 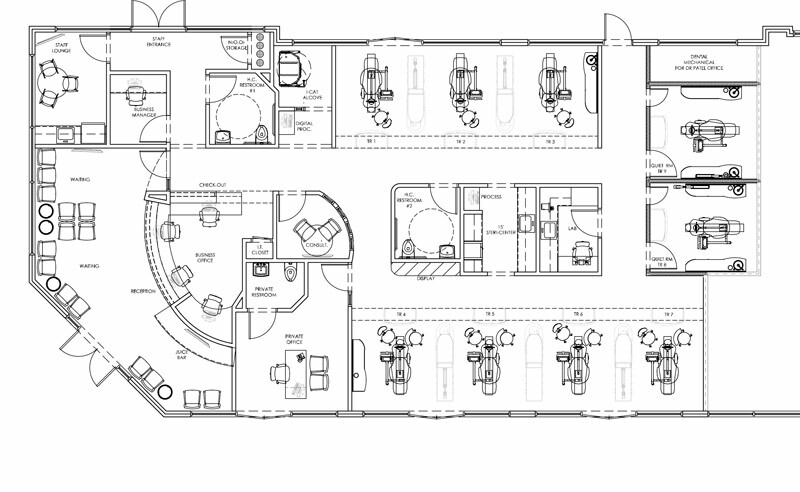 The highly functional treatment areas have Renaissance cabinets, Helios lights, and soothing Pelton & Crane massage chairs. Because patients at the Claremont Dental Institute tend to rely less on dental insurance than those in Dr. Patel’s other offices, he has brought in a new, broader patient base. Since opening the new practice, he has enjoyed a 30-percent increase in production! The Institute’s astounding success inspired him to return to Montclair in 2013 to build a satellite office with much of the same equipment he chose for the Claremont office. 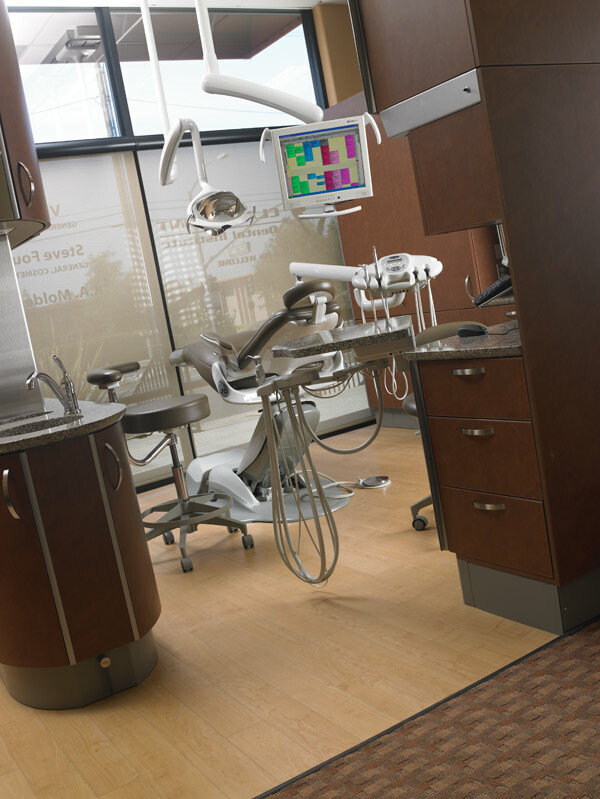 As he had with his previous offices, he called upon the Henry Schein team to coordinate design, construction, and equipment and technology choices and installation.